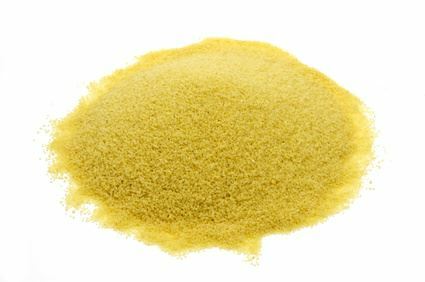 Couscous keeps it natural light-yellow colour and its round structure after cooking, gaining a fluffy consistency. Similar to bulgur, couscous is perfect for salads, casseroles, and sweets and also makes a wonderful side dish to fish, meat and vegetables. Couscous is made of hard wheat, millet or barley and is a basic food in North Africa. The cereals are first crushed to grit, then moistened, ground to small balls and dried again. For preparation at home, the couscous is either soaked and welled in hot water or steamed, depending on the previous processing. Couscous contains B-vitamins, vitamin E, phosphorus, magnesium, calcium, and iron. In addition, couscous contains fibre, carbon hydrates, and protein. As it is a cereal product, couscous contains gluten and is not suitable for celiac disease.